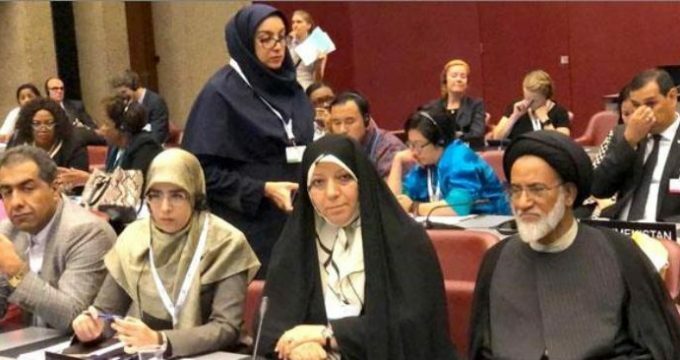 MNA – Iran’s delegate at the 139th IPU Assembly in Geneva stressed the importance of adopting preventive and defensive policies as one of the most important approaches toward combating terrorism and extremism. Ali Najafi Khoshroudi, Spokesman for the Iranian Parliament’s National Security and Foreign Policy Commission, spoke on behalf of Iran at the meeting of the IPU Committee on Peace and International Security in Geneva. He said preventive mechanisms will allow countries to stop the emergence of terrorism and extremism at the national level, stressing the important role of parliaments in drawing up and approving relevant laws and proper punitive measures in this respect. Najafi then noted Iran’s contributions to the fight against terrorism, referring to President Rouhani’s proposal for the World Against Violence and Extremism (WAVE) resolution which was endorsed by the UN General Assembly, as well as the country’s cooperation with Syria, Russia and Iraq in combating terrorism and extremism. Iran has played a prominent role in fighting terrorism, and if it were not for Iran’s contributions, today ISIL terrorist group would have taken control of a large part of the Middle East region, he stressed.